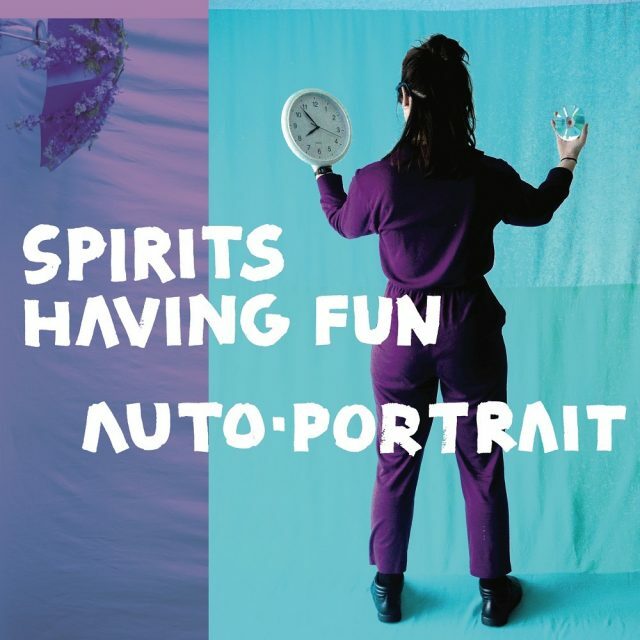 Spirits Having Fun are a new-ish band — they formed at the end of 2016 — but they come across as intensely confident. Their members are split between Chicago and New York, and in a couple of months they’re releasing their debut album, Auto-Portrait. Their band name is appropriate for the kind of music they make: there’s a demonic levity to it, a sort of sour smile. The album’s first single is “Electricity Explorer,” which was put out on a cassingle last year, but today it’s getting a music video directed by Ariana Ratner that only heightens its bubbling excess. The song is constantly in motion, a pinwheel that can’t stop spinning. Tangled guitars and scattered drumming come across as improvisational but its tightly controlled chaos, with Katie McShane’s vocals at its center, slipping from dreamy to abrasive with ease. Auto-Portrait is out 6/28 via Ramp Local. Pre-order it here.